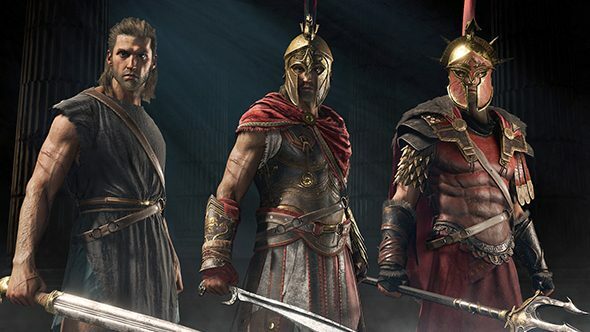 Assassin’s Creed Odyssey will be a live service with new content “every week.” In an interview at E3 2018, executive director Alain Corre said Odyssey is joining Ubisoft’s “games as a service” strategy that has been shown off as part of games like For Honor, Rainbow Six Siege, and the upcoming The Division 2. Corre said that Odyssey “is a service. It’s a service-type product. The idea with Odyssey is to create new content every week, so that it’s a […] adventure for the fans.” Clearly Ubisoft isn’t content with making a huge open world for their fans to explore. There’s set to be a lot of competition in coming months, but here’s our list of the best RPGs. Corre says that the decision to pivot the series to a service product stems from a perceived notion within Ubisoft that “it’s games as a service that are most appreciated by the fans,” because players who are invested in their single-player titles want to keep coming back. The previous game in the Assassin’s Creed series, Origins, had some service-like elements with fights against Egyptian Gods available for a limited time. I’d imagine that kind of thing will return with the Greek pantheon for Odyssey. The Assassin’s Creed Odyssey release date is October 5, which means it won’t be too long before you can head to Ancient Greece and discover exactly what all this live content actually is.